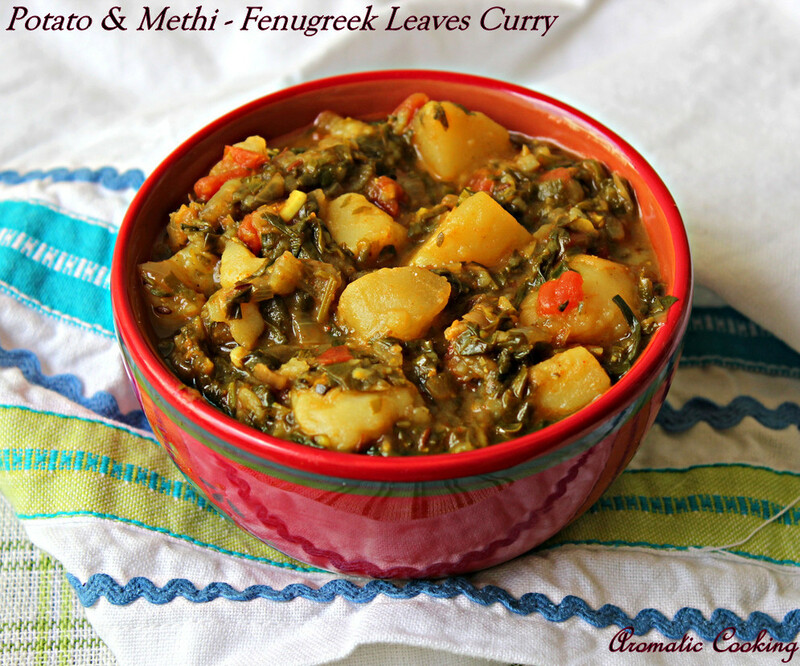 Potato and Methi/Fenugreek leaves, enough can't be said about this combination, you have to taste it. Whether it is a dry curry or a gravy one, this combination is unbeatable. The potatoes and methi compliment each other so well, you can't taste the slight bitterness of the fenugreek leaves. 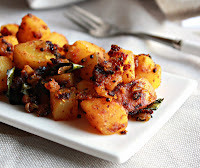 If you have the potatoes, boiled, peeled and diced and the fenugreek leaves, cleaned, washed and chopped, this curry can be put together in no time. 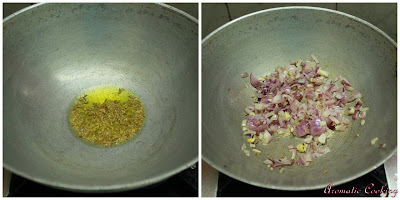 It goes very well with both rotis and rice..
Heat some oil, add the cumin seeds, when it starts sizzling, add the chopped onions and garlic and saute till the garlic turns golden and gives a nice smell. 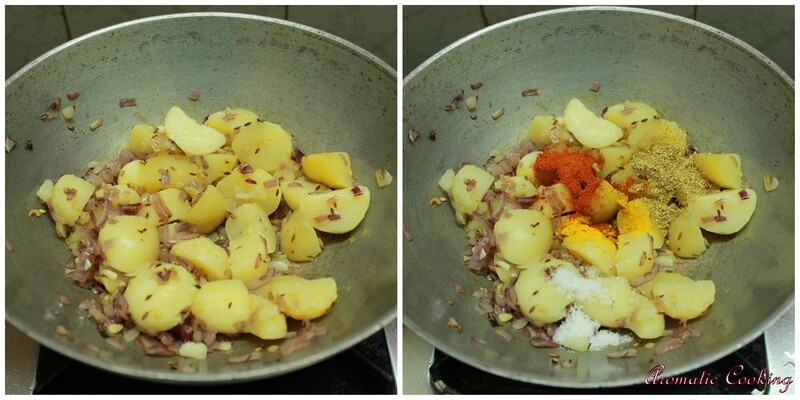 Now add the potatoes and mix. 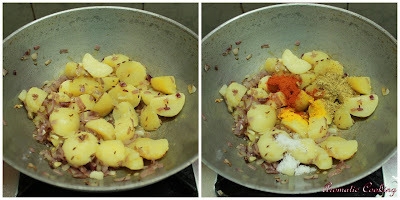 Then add the salt, turmeric, chilly and coriander powders, mix and saute for 2 minutes. Now add the tomatoes and the chopped methi., mix, add 1+1/2 cups water, simmer on medium heat till the methi is cooked (for about 5 to 7 minutes). Then add the garam masala powder and the sugar, mix and cook for 2 more minutes. Remove and serve it warm with rotis. 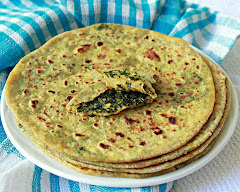 Fresh fenugreek leaves is available in Indian vegetable stores, if fresh is not available, look for frozen, otherwise do the curry with spinach instead and use 2 tablespoons of crushed kasuri methi/ dried fenugreek leaves at the end for the methi flavor which is very unique. If the final curry is too thick, add some water and give it a boil. lovely combo, curry looks delicious. 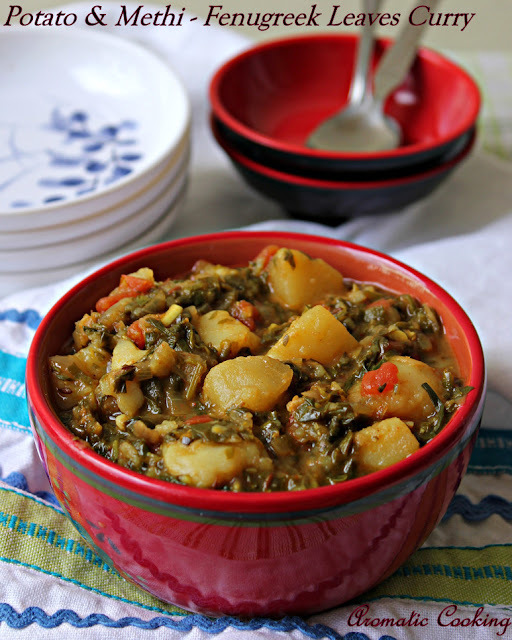 Actually i do dry curry with potato and methi,this semi gravy looks fabulous and inviting. Me too prepared it as dry curry,semi gravy looks delicious!! This looks delicious! I have never seen fresh fenugreek leaves around here before, however, I have the dried ones! tempting combo hema.. neat presentation..
yummy combo, curry sounds delicious...loved the 1st pics, too good! 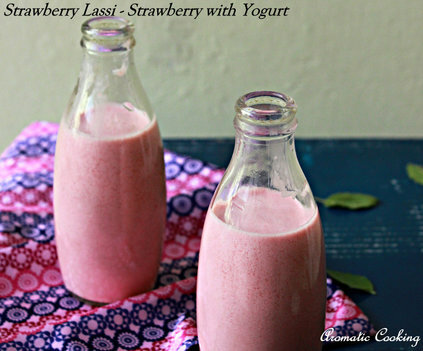 What a healthy recipe this one Hema..Love to try this. 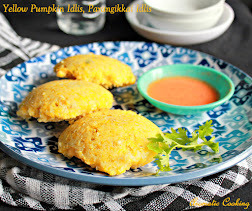 Another easy curry from you, for chapathi sides, I need to look at your site. This is such a wonderful combi. Luv it. 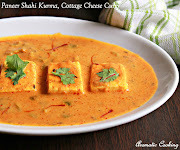 You are killing me with such colorful clicks and delicious recipies. Very very very good..... I just loved it.